Make sure vital documents are signed in the right places. 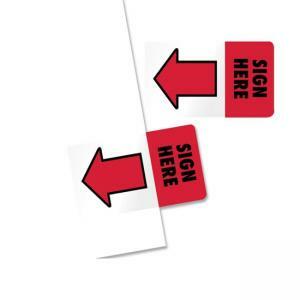 Standard Size Page Flags with the eye-catching message "Sign Here" allow you to flag where signatures are needed. The red "Sign Here" message printed in black extends past the edge of the page to be seen easily. Remove and reposition without leaving a mark on the page.